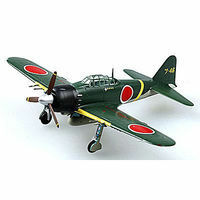 Shop online for 103 mrc plastic models at discounts up to 52%. 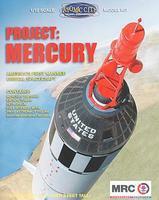 Pre-Built is the most popular of the 3 mrc plastic models categories, then Space, and Cars / Trucks / Vehicles. This is the 1/72 scale UH60A US Medevac Helicopter (Built-Up Plastic) Easy Model Platinum Collectible from the MRC Winged Ace Series. Suitable for Ages 8 & Older. 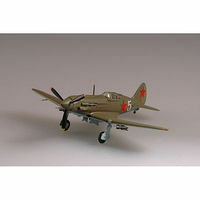 This Soviet MiG-3 is a 1:72 Scale Easy Model Platinum Collectible from the MRC WWII Aircraft Series. Suitable for Ages 8 & Older. This is the 1/72 Scale Mitsubishi A6M Zero-A6M5C Tsukuba Naval Air Easy Model Platinum Collectible from the MRC WWII Aircraft Series. Suitable for Ages 8 & Older. 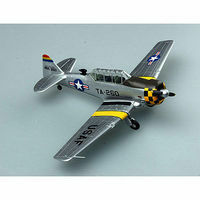 This is the 1/72 Scale T-6G 6147 TCS 1952 Easy Model Platinum Collectible from the MRC WWII Aircraft Series. Suitable for Ages 8 & Older. 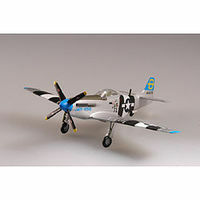 This is the 1/72 Scale P51D IV 3rd FS/3rd FG 5 AF WWII (Built-Up Plastic) Easy Model Platinum Collectible from the MRC WWII Aircraft Series. Suitable for Ages 8 & Older. This TIGER 1-MID-SPZABT 101, Normandy Middle Type Tank is an Easy Model Collectible from the MRC WWII Ground Armor Series. Suitable for Ages 8 & Older. 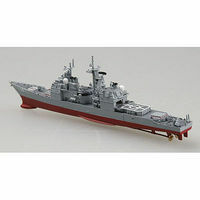 This is the 1/1250 scale USS Princeton CG-59 plastic model From the Easy Model series by MRC For ages 14 years and above. This is the 1/72 Scale F4U-1 "Corsair" Easy Model Platinum Collectible from the MRC WWII Aircraft Series. Suitable for Ages 8 & Older. This is the 1/72 Scale UH1B Huey US Army Helicopter Vietnam 1967(Built-Up Plastic) Easy Model Platinum Collectible from the MRC Aircraft Series. Suitable for Ages 14 & Older. This is the 1/72 Scale P-47D Thunderbolt 61st FS 56th FG Easy Model Platinum Collectible from the MRC WWII Aircraft Series. Suitable for Ages 8 & Older. This T34/76 1943 Russian Army Tank is a 1/72 Scale Easy Model Platinum Collectible from the MRC WWII Ground Armor Series. Suitable for Ages 14 & Older. This 1/700 Scale Russian "Akula" Submarine is an Easy Model Collectible from the MRC Sea Power Series. Suitable for Ages 8 & Older. This M26 "Pershing" Heavy Tank is a 1/72 Scale Easy Model Platinum Collectible from the MRC WWII Ground Armor Series. Suitable for Ages 14 & Older. This King Tiger (P) Schwere s.Pz.Abt.503 Tank is a 1/72 Scale Easy Model Platinum Collectible from the MRC WWII Ground Armor Series. Suitable for Ages 8 & Older. 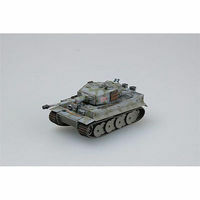 This M4A3E8 Middle Tank is an Easy Model Collectible from the MRC WWII Ground Armor Series. Suitable for Ages 8 & Older. This M4 Middle Tank is an Easy Model Collectible from the MRC WWII Ground Armor Series. Suitable for Ages 8 & Older. This is the 1/700 Scale USS SSN-21 "Seawolf" from the MRC Sea Power Series. Suitable for Ages 14 & Older. This is the 1/72 Scale P-47D Thunderbolt 355th FS 354th FG Easy Model Platinum Collectible from the MRC WWII Aircraft Series. Suitable for Ages 8 & Older. This is the 1/72 Scale German Tiger I Late Type SS-Pz.Abt.102, Normandy 1944 Division 242 Easy Model Platinum Collectible from the MRC WWII Ground Armor Series. Suitable for Ages 8 & Older.